Attached you will find the agenda for the Traffic, Transportation, Public Service and Parks committees joint meeting to be held on Monday, January 7 at 7:30 PM in Room D of the Regina M. McGinn, MD Medical Education Center, 475 Seaview Avenue. There will not be a Land Use meeting the month of January. 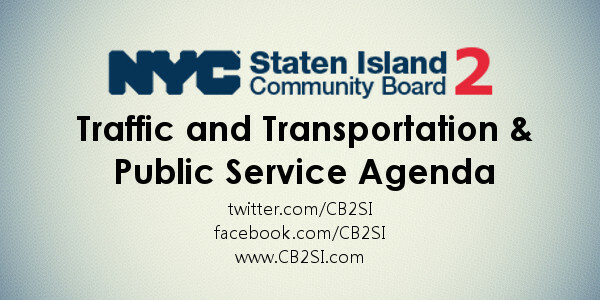 If you have any questions or concerns, please call the board office at 718-568-3581.